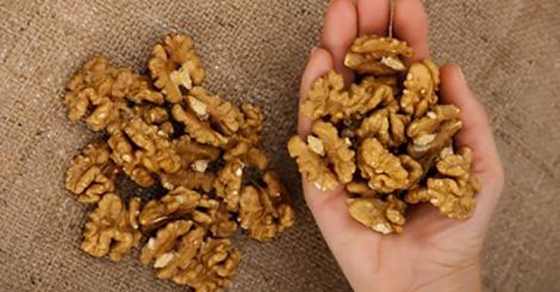 Do you enjoy eating walnuts often? You may be helping your heart without even realizing it. New research shows that eating a handful of walnuts a day protects the body against heart disease. Eating walnuts regularly can decrease your risk and provide permanent protection from heart disease. This research also shows us that there is an improvement in cholesterol levels and the flexibility of blood vessels that helps blood flow, just four hours after eating walnuts. Walnuts contain alpha-linolenic acid or ALA, an omega-3 fatty acid that is similar to those found in heart-smart fish, like salmon. ALA has some heart-healthy effects, independent of the cholesterol-lowering effects. Previous studies show that they reduce the risk of sudden death from dangerous abnormal heart rhythms. The linoleic acid diet and alpha-linolenic acid diet are high in polyunsaturated fats. Substituting dietary saturated fats with these good polyunsaturated fats lowers bad cholesterol. C-reactive protein levels dropped about 75 percent when patients consume diets that are rich in ALA, and decreased about 45 percent when they were on the linoleic acid.